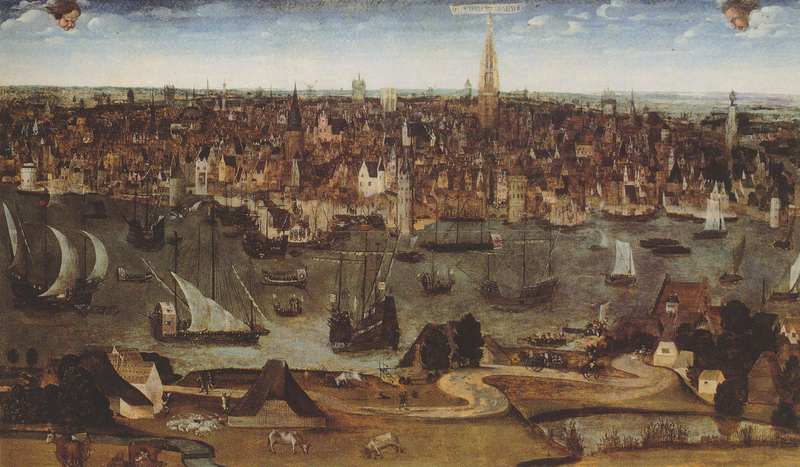 In the 14th century, large volumes of sugar cane are imported via the flourishing port of Bruges. Antwerp succeeds Bruges in this function in the 15th century. In around 1550 the city has 15 refineries, the majority located on what is still called the “Suikerrui”. In 1575, Olivier de Serres discovers that sugar beets contain a juice that resembles sugar syrup. However, nobody pays attention to it. An important moment in the Belgian history of sugar is 1806: one year after his defeat in the Battle of Trafalgar, Napoleon sets up a continental blockade against the British. This decision has serious consequences for the port of Antwerp and the import of sugar cane. Olivier de Serres's discovery gets more interest now. 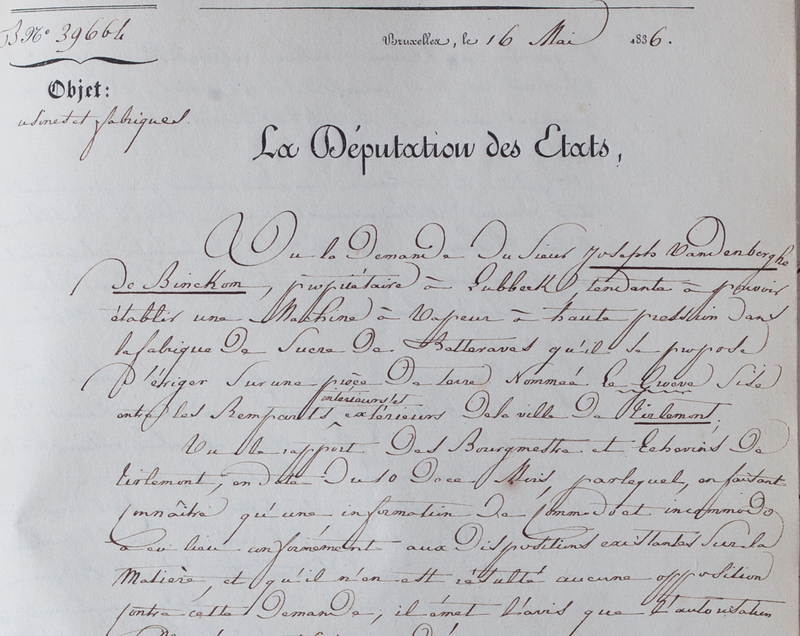 On this spring day the town of Tirlemont receives requests for permits to build two new sugar factories. One from Joseph Vandenberghe de Binckom, his factory later becomes Raffinerie Tirlemontoise, and one from Henry Vinckenbosch. The total number of sugar factories in Belgium including these two sugar factories amounts to 36. By 1843, a combined total of 3 million kilos of sugar is produced per year. In 1849, Joseph Vandenberghe de Binckom sells his sugar factory to Henry Vinckenbosch for the astronomic sum of 125,000 Belgian francs. The following years, different sugar factories are started up: Genappe, Wanze and Oostkamp. On 17 September 1887 Raffinerie Tirlemontoise becomes a limited company and, in 1894, Paul and Franz Wittouck, the owners of the sugar factory in Wanze, purchase Raffinerie Tirlemontoise from the Vinckenbosch family. With the discovery of the Adant turbine in 1902, come the first sugar cubes. Since, it is impossible to think of our name without thinking of the Hard Cube and vice versa. Indeed, which Belgian hasn't once in his/her lifetime sucked on a Hard Cube? 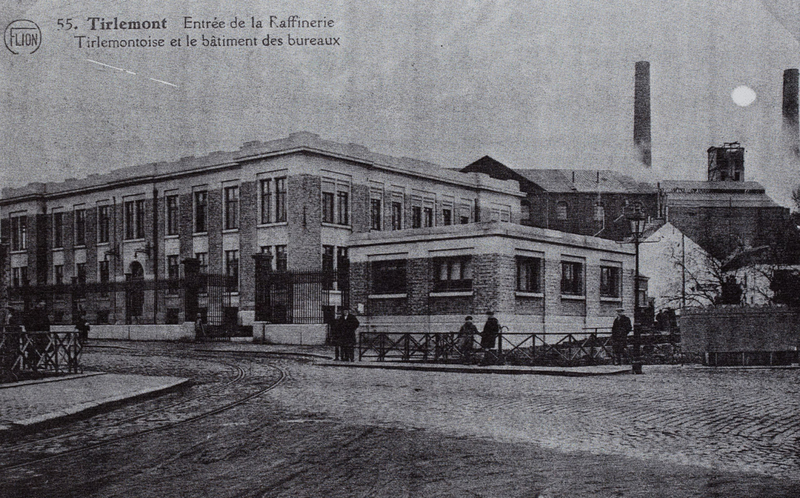 A few years later, in 1919, Raffinerie Tirlemontoise starts upgrading its by-products. animal food, fertilizers for agricultural land etc. In the 1920's, the sugar factories of Wanze, Braives and Les Waleffes are completely integrated into RT Group, followed by the Sucreries de Genappe and the Sucrerie de Brugelette. Meanwhile, Wanze builds the two biggest horizontal silos in the world at that time. The engineers of Raffinerie Tirlemontoise design the RT Continuous Diffuser for extracting sugar out of beets that soon makes inroads in Europe and Asia. On 25 March 1957 the Treaty of Rome lays down the foundations of what is today called the European Union. Just one year later during the Stresa Conference, the cornerstones are laid for a Common European agricultural policy. It is not until 1 July 1968 however, that the general rules are established for sugar. At that time the Belgian quota for sugar is 550,000 tons per year. Quota has meanwhile been abolished since september 2017, the beginning of a new era in the European sugar history. In 1969, Candico is integrated into RT Group and for the first time cane sugar cubes are launched in the Benelux. A year later, Lebbe, specialised in icing sugar since 1870, joins forces with RT Group. In 1989, the Südzucker Group, a German concern active in the food industry, takes Raffinerie Tirlemontoise over. Meanwhile, Raffinerie Tirlemontoise’s R&D department is making great strides in the extraction of inulin and oligofructose from chicory roots, baptized “Orafti”, later integrated into Südzucker’s “Functional Foods” Beneo Group. For more information about Beneo, please visit www.beneo.com. At Raffinerie Tirlemontoise, we have the know-how and th people to develop and produce unique, Belgian sugar specialties, which you can find nowadays all over the world. As a reaction to the growth in artificial sweeteners, Raffinerie Tirlemontoise launches Ti’Light in 1985, a combination of sugar and aspartame. 1995 is also an important year in the 20th century for Raffinerie Tirlemontoise: the sugar cubes are given their famous ‘scored line’. 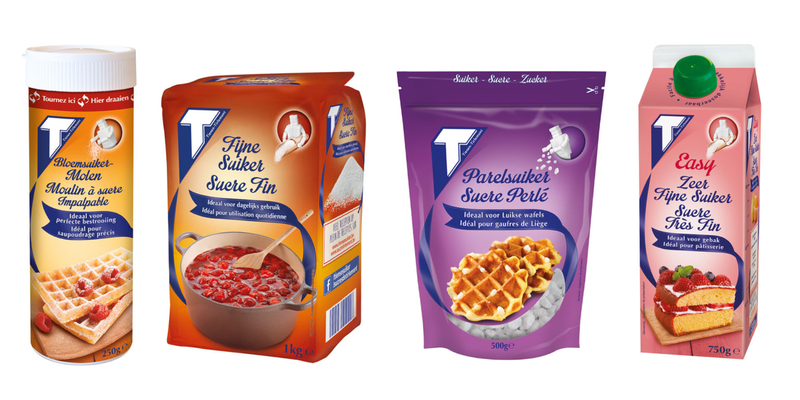 We also keep innovating in packaging: in 2007, we launch sugar in a Tetra Pak and in 2009 the icing sugar mill is introduced. In 1997, Candico launches its organic range and starts in 2002 with the selling of Fairtrade cane sugar. On 1 October 2008, all products of Candico are sold under the Fairtrade Max Havelaar certificate. The traditional candy sugars from Candico are introduced in 2013 in the United States of America. 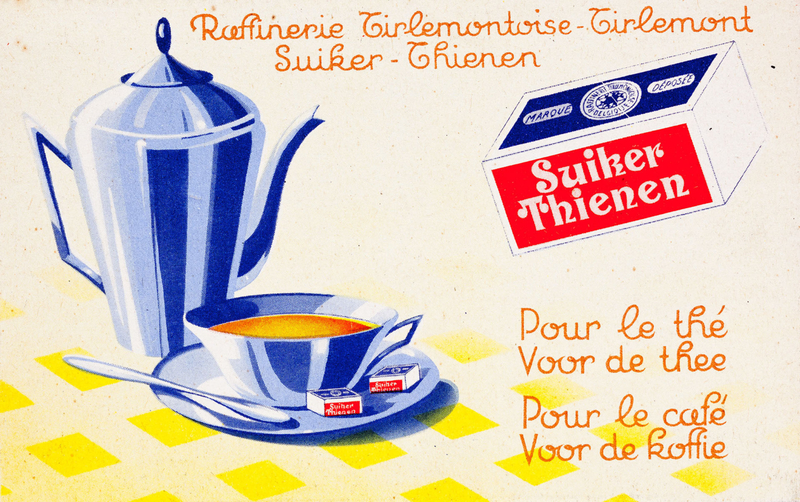 Since that same year, you can find sugar specialties of Raffinerie Tirlemontoise in Egypt and Singapore! At Lebbe Sugar Specialties in Oostkamp, tailor-made industrial products like Fondant, Sugarpaste,… are manufactured. Ready for a sweet adventure? You can find all our job postings on this page.